A No Deal Brexit is on the cards. But not everyone is ready for it. Many believe it is no longer a remote possibility. The implications of leaving the EU without an agreement has always been contemplated, contingency planning has started late, but it does exist. If you really known Britain, you will understand that nothing has come to Britain without prior thought and planning, but it is most often under the radar, without much ado or boast. If Britain leaves the EU without ratification of the Withdrawal Agreement and the Political Declaration, trade between the two would revert to rules under the WTO (World Trade Organisation Rules). The flow of goods and services would most likely slow down. In some cases, goods may be blocked, perhaps denting business and consumer confidence and in worst case scenario, slowing down economic growth. But, Britain is accustomed to varying rates of growth over years, if not decades. Contingency measures have been in place all along. They could well be activated at short notice. What are the Contingency Arrangements? Businesses have been factoring contingency arrangements in their pricing calculations, over months. In normal times, this process is called Risk Assessment. They prioritise the potential risks which are most significant, or most likely. Markets always discount bad news well ahead of time. Contractual Risk is very likely to be a priority issue in business dealings with the EU. As Britain has been over 40 years accustomed to European Union Law, longstanding contracts would unlikely have taken account of a Brexit eventuality or a possibility. The pricing of goods and services and the obligations on delivery schedules may still apply. It is no comfort for a business in Bremen to be told that deliveries may be delayed through no fault of the supply chain, but frustrated by “force majeure”. In simple language, contract performance is beyond the ambit of business decisions, legal minds and Courts will have to be resourced, causing disputes, unavoidable expense and business frustration. Cross border dispute resolution will become more complicated. Employment Risk will have also been taken into consideration in contingency planning. 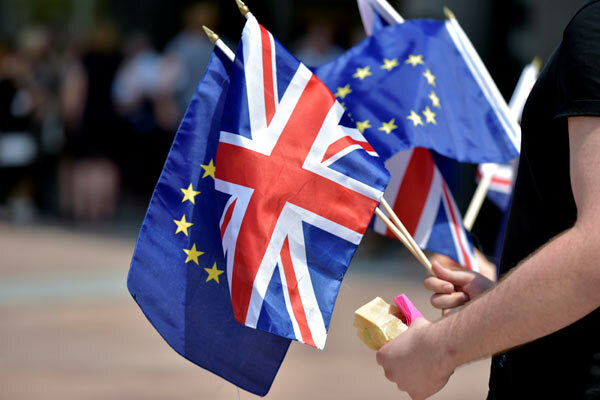 A No Deal Brexit might put thousands of UK jobs at risk, the CBI (Confederation of British Industry) has warned, with GDP shrinking by up to 8%,particularly noticeable in the Car industry. Besides, farmers warn they could be hit by a six month export ban to the EU. Nobody has ever mentioned, how much Paris and Frankfort have enticed British businesses to move to their countries, with inducements hidden “under the carpet.” British business also wanted to move abroad to get cheaper labour to be more competitive and Brexit was a blessing in disguise. Among the Contingency measures, we are not told about, are how the Bank of England will inject liquidity into the banking system and establish swap lines with other Central Banks for the rights of UK and EU citizens to remain protected. Air transport contingency will probably operate unhindered and lorries and rail continuing to “mask” and transport goods and people, on a pre-ordained plan. Data Risk is also likely to be a heartache, if not a headache for business. Once UK leaves the EU without a deal from the EU, UK will become a third country and transfers of personal data from EU to UK could be restricted. UK will have to obtain “Adequacy Decision” from EU which would allow the free flow of personal data from EU to UK. This exchange of Data is the lifeblood of business. But, in today’s world the right to restrict and manage effective data flow and comply with regulations like GDPR, are already in place. HM Government Paper “The Exchange and Protection of Personal Data” is already coded. Besides, supported technologies like Manta Flow already crunches programming Code, safeguarding shared interests and values. Should anyone doubt that Data Flows are important for both the UK and EU economies? Restriction on Cross border Data Flows could harm both economies? Intellectual Property Rights may well be restricted. Intense regulation is a constant in IP rights. The owners of most EU IP rights will however not lose protection when the UK leaves the EU. Businesses will file for both UK and EU regulations with UK giving EU applicants a nine month grace period. Last but not the least are Contingency Plans for the movement of People across EU borders. The Chapter in the Withdrawal Agreement on Citizens Rights will not take effect and there will be no Transition Period. British citizens residing across the EU will have to regularise their Immigration Status under the domestic Immigration laws of the country in which they are residing. Each EU country has its own rules, thus it could get complicated. Of course business confidence has hit a 10 year low in Britain. But we live in a world full of uncertainty. We have managed to live despite all this turbulence. Business are poised to prioritise cutting costs and boosting cash flow with defensive balance sheet strategies. People have also psychologically accepted a “No Deal Brexit” as a possibility and are making plans to adjust to reality.